We have many training systems for self-development and skill development, such as technological qualifications acquisition encouragement, internal education as well as external training. In terms of products, we have been certified as a regional future leading company by the Ministry of Economy and Tottori Prefecture niche top companies organization. In addition, we have won numerous awards such as the first "TPM Excellence Award" in the forging industry, the "Minister of Economy's Award" for Environment-Friendly factories, and the "Quality Excellence Award" from customers. In addition, our company is located in Kurayoshi City in the center of Tottori Prefecture, surrounded by a lush green environment. Our company produces hot forged parts such as various cars, robots, and machine tools in an integrated production system from forging to machining. Molds are also manufactured in-house from design to manufacturing. we are aiming to create a unique company with the combined strength of development, analysis, improvement, and we have cultivated our employees' skills all over the years. TPM (production maintenance with all employees participation) activities aimed at “zero failure, zero defects, zero disasters” have been established, and the facilities in charge can efficiently carry out operations by promoting repair, maintenance, improvement by themselves. We also have a joint venture in Thailand called Thai Summit Meiji Forging Co., Ltd., which produces forged parts for our overseas market. Process setting such as forging, mold making, heat treatment, press molding, drawing creation, perform CAD data creation, check quality, etc. You also may have a chance to work in our joint venture in Thailand after you have acquired our technical skills for about 5 to 10 years. In that case, as a leader in the mold design department, you will be required to teach and train local engineers. 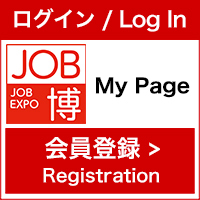 職場、家族､資格､時間外､役職等手当 Workplace, Family, Qualification, Overtime, Position allowance etc. Let's make our company become the world's top company!